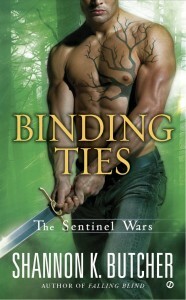 As many of you are aware, it’s been a while since I’ve put out a new installment of The Sentinel Wars. There are a lot of reasons for that and I won’t go into them all because they’re too sad and painful. But the main reason was, I didn’t want to let you readers down. I could have sat at the keyboard and slapped something together to stick to a schedule, but you deserve better than that. You deserve a story with life and depth, one brimming with love and excitement, one fitting of the Sentinels world and all the characters in it. I wanted to create something worthy of my readers, because I love and appreciate you so much. I’m happy to say that your wait is finally coming to an end. I’ve joined forces with a trio of authors (listed below in recommended reading) to bring you four awesome stories revolving around deep, dark secrets — the kind you’d never want your mama to know. The Secret She Keeps will be coming out this fall. My contribution to this anthology will be Sentinels #9.5. Soon after that, I will be following up with The Sentinel Wars #10. More details to come. I will announce everything via newsletter first, so keep an eye out on your inbox. While you wait for more Sentinels stories, I’d love for you to go check out some of the awesome books of my fellow secret-keeping authors: Kathy Lyons, Terri L. Austin, and Anna Argent.